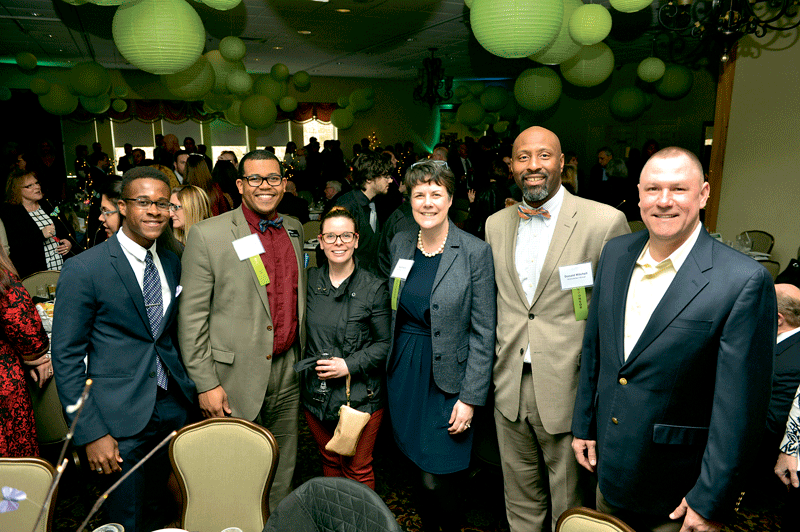 More than 450 people turned out at the Log Cabin Banquet & Meeting House in Holyoke on March 30 for a celebration of the 2017 Difference Makers, the ninth annual class of individuals and organizations honored by BusinessWest for making an impact in their Western Mass. communities. 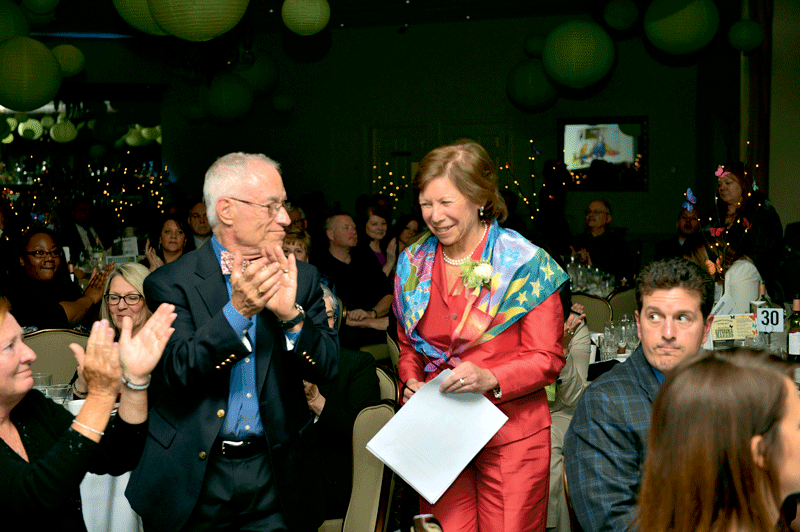 The photos on the next few pages capture the essence of the event, which featured musical entertainment by the Taylor Street Jazz Band, fine food, and thoughtful comments from the honorees. This year’s class, chosen by the editor and publishers of BusinessWest from dozens of nominations, include the: the Community Colleges of Western Massachusetts; Berkshire Community College, Greenfield Community College, Holyoke Community College, Springfield Technical Community College; Friends of the Holyoke Merry-Go-Round; Denis Gagnon Sr., President & CEO of Excel Dryer Inc.; Junior Achievement of Western Massachusetts; and Joan Kagan, President & CEO of Square One. 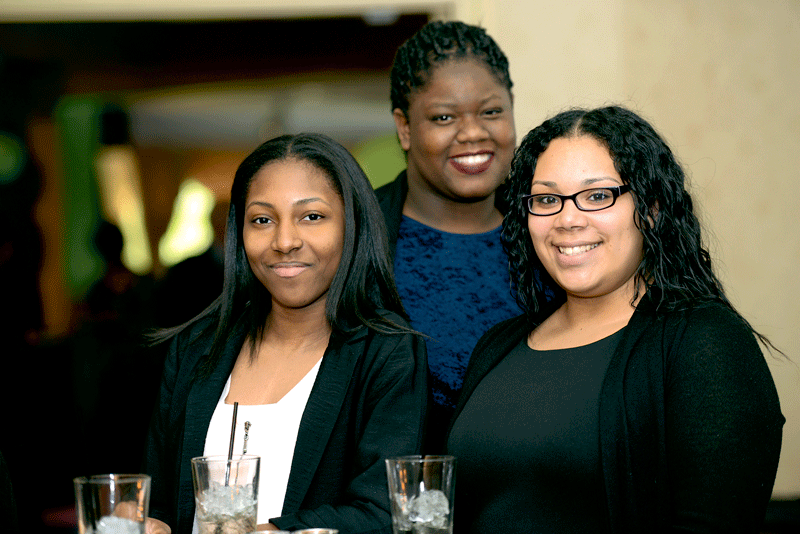 From left, Dajah Gordon, Sabrina Roberts, and Johnalie Gomez, teenagers involved in Junior Achievement of Western Mass., a 2017 Difference Maker. 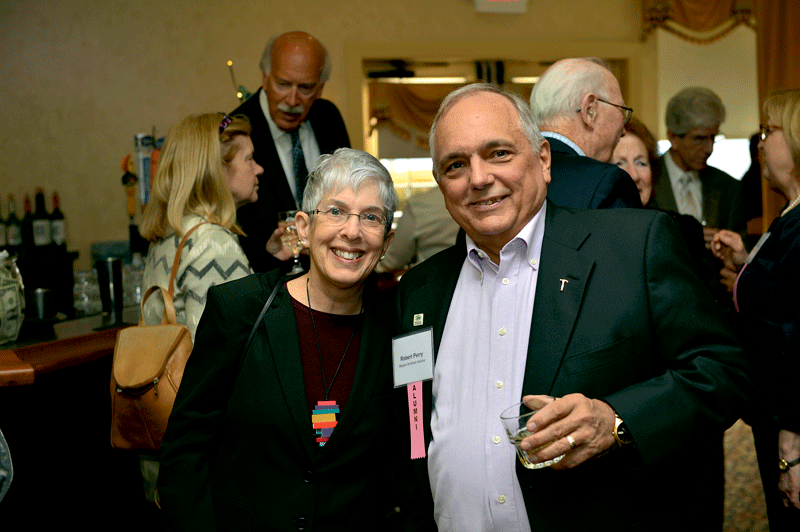 Susan Jaye-Kaplan, a 2009 Difference Maker, and Bob Perry, a 2011 Difference Maker. 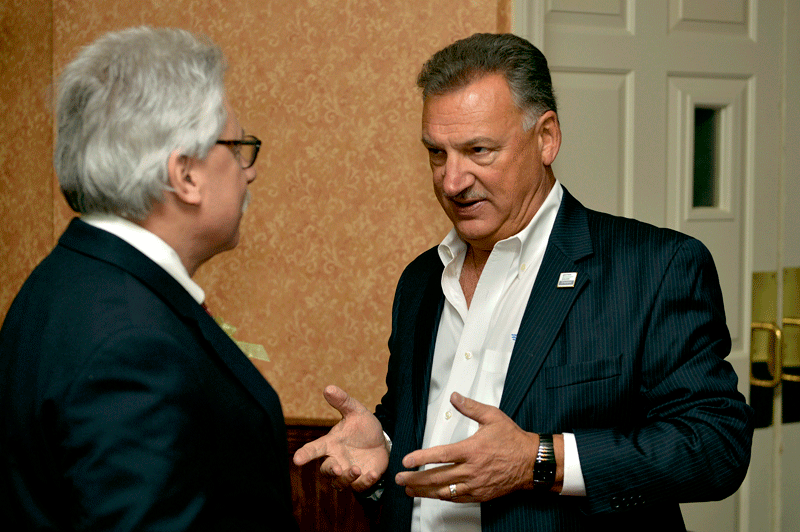 Bob Pura, president of 2017 Difference Maker Greenfield Community College (left), chats with Ted Hebert of Teddy Bear Pools & Spas. 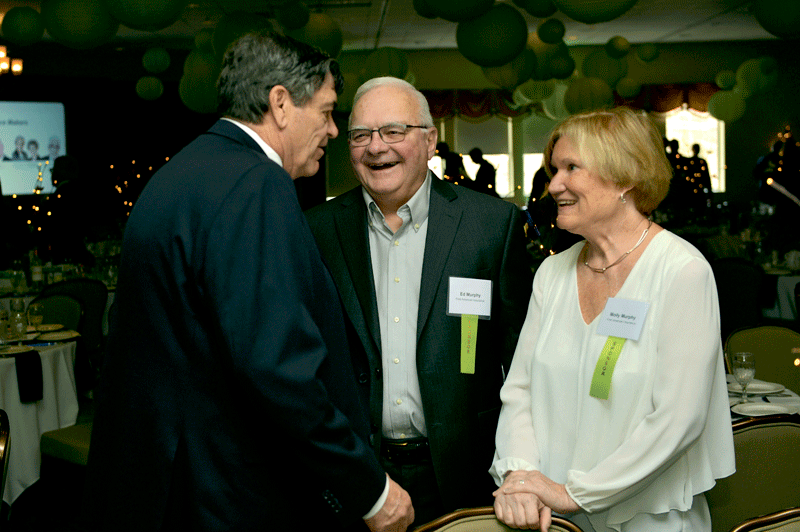 Joe Marois of Marois Construction (left) chats with Ed Murphy and Molly Murphy of event sponsor First American Insurance. From left, Darlene Francis of event sponsor JGS Lifecare, Ethel Griffin and Colleen Loveless of Revitalize CDC, Kathleen Plante of BusinessWest, and Mary-Anne Schelb of JGS Lifecare. 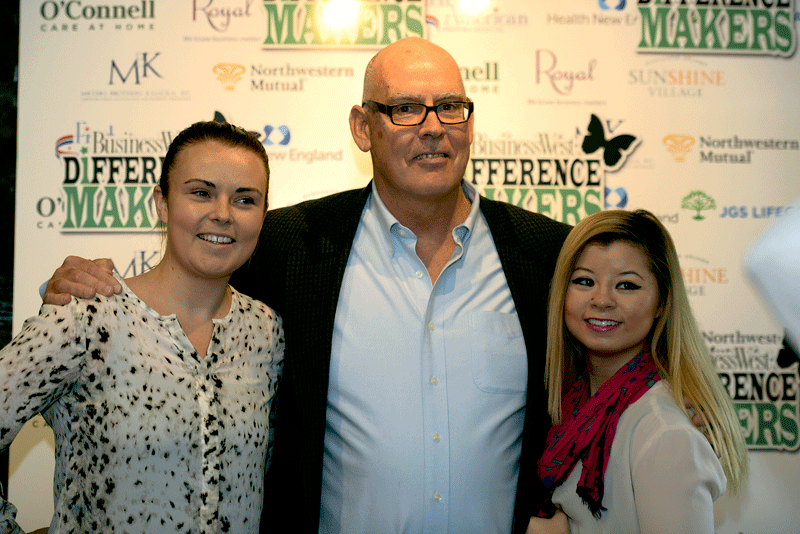 From left, Noni Moran, Dennis Murphy, and Amber Letendre of event sponsor First American Insurance. 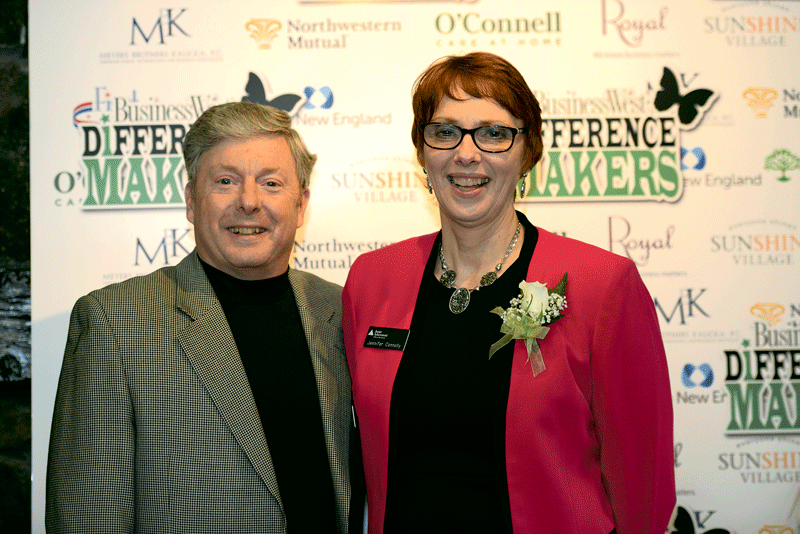 Al Kasper of Savage Arms with Jennifer Connolly, president of 2017 Difference Maker Junior Achievement of Western Mass. 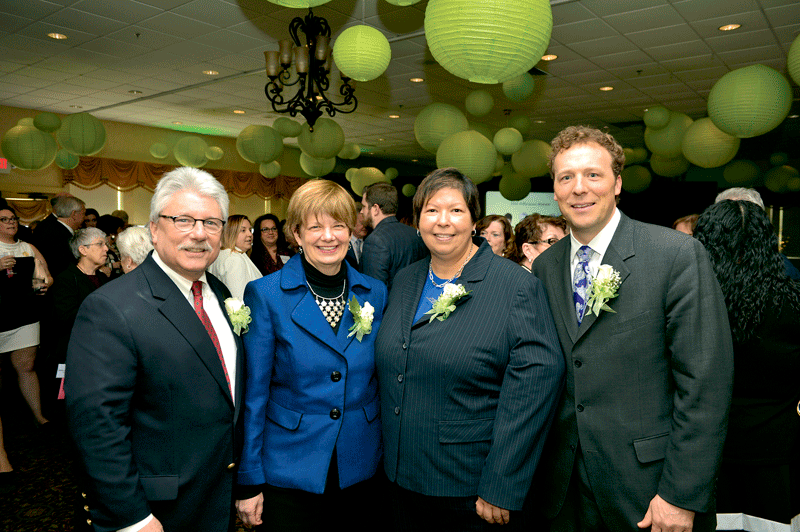 The community colleges of Western Mass., honored collectively as 2017 Difference Makers, were represented by their presidents, from left, Bob Pura of Greenfield Community College, Ellen Kennedy of Berkshire Community College, Christina Royal of Holyoke Community College, and John Cook of Springfield Technical Community College. 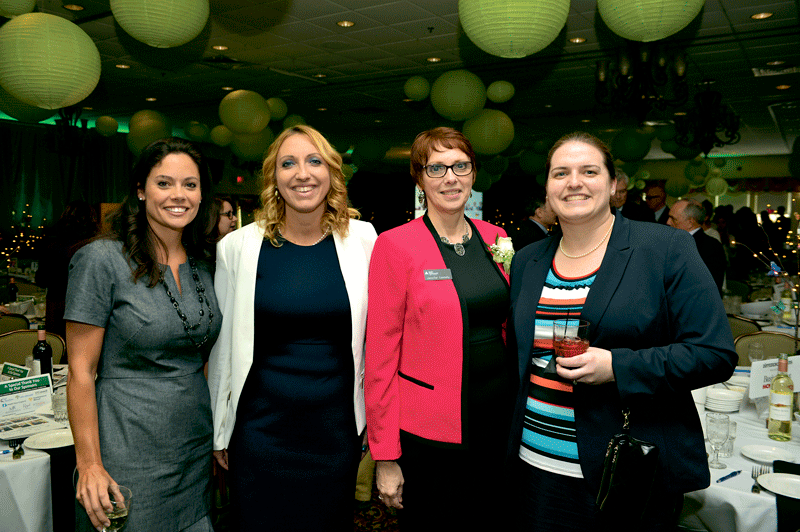 From left, Shawna Biscone of event sponsor Royal P.C., Julie Cowan of MassDevelopment, Tara Brewster of Greenfield Savings Bank, and Amy Royal of Royal P.C. 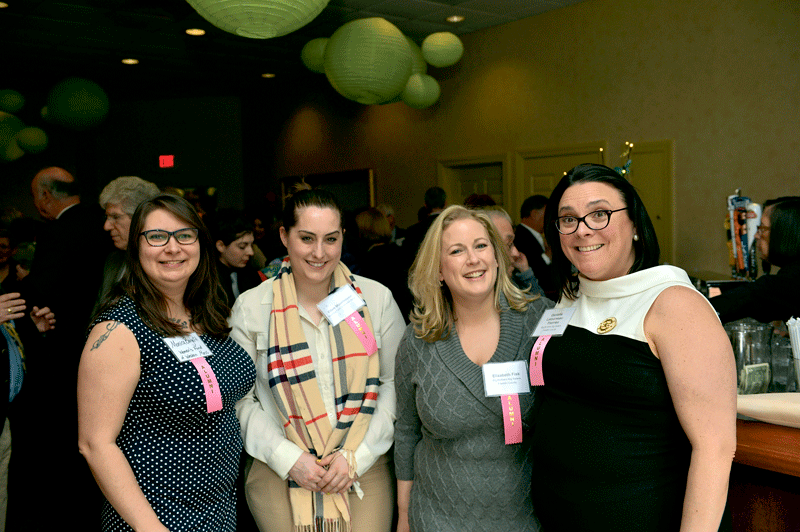 From left, Patricia Faginski of St. Germain Investment Management, Amanda Huston of Elms College, Jennifer Connolly of 2017 Difference Maker Junior Achievement of Western Mass., and Rebecca Connolly (Jennifer’s daughter) of Moriarty & Primack, P.C. 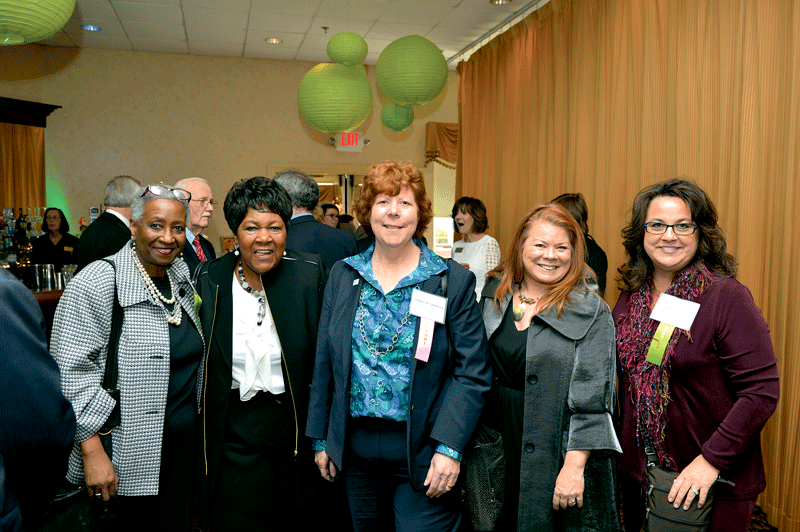 From left, from Square One, Dawn DiStefano, Bonnie Katusich, Kristine Allard, Karen Smith, 2017 Difference Maker Joan Kagan, and Andrea Cincotta. 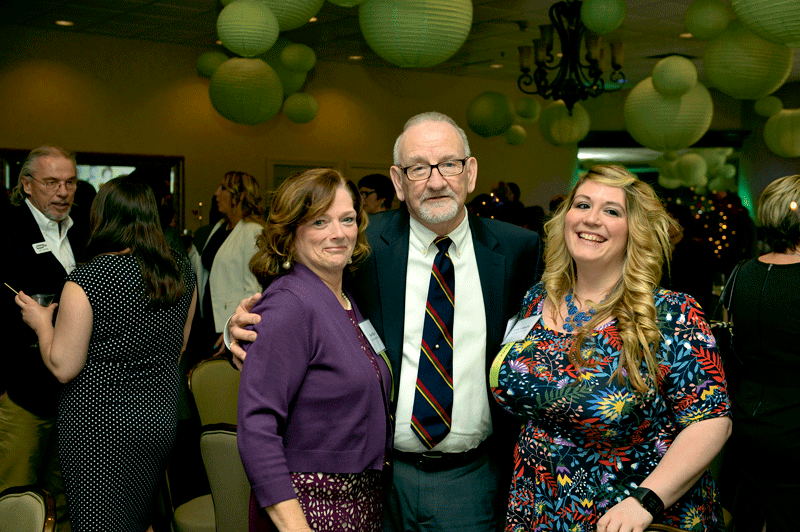 From left, Brigit Shea-O’Connell, Fran O’Connell, and Rachel Normantowicz of event sponsor O’Connell Care at Home. 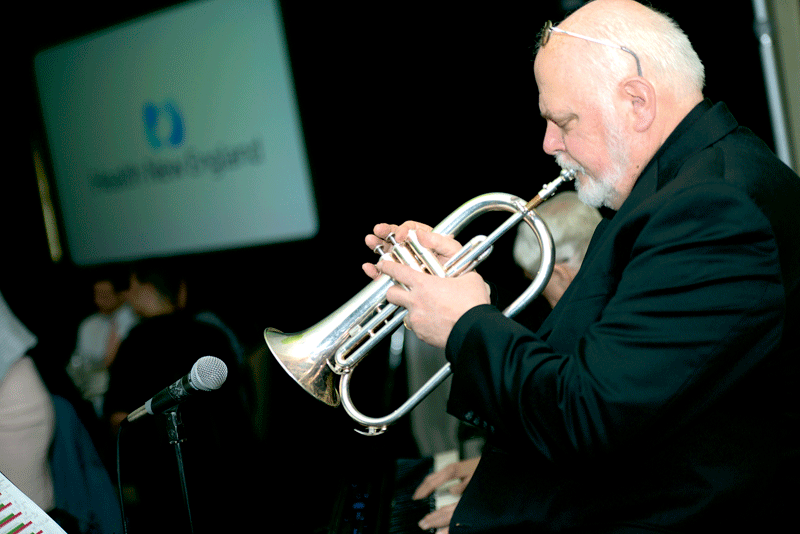 Michael Curran of the Taylor Street Jazz Band. 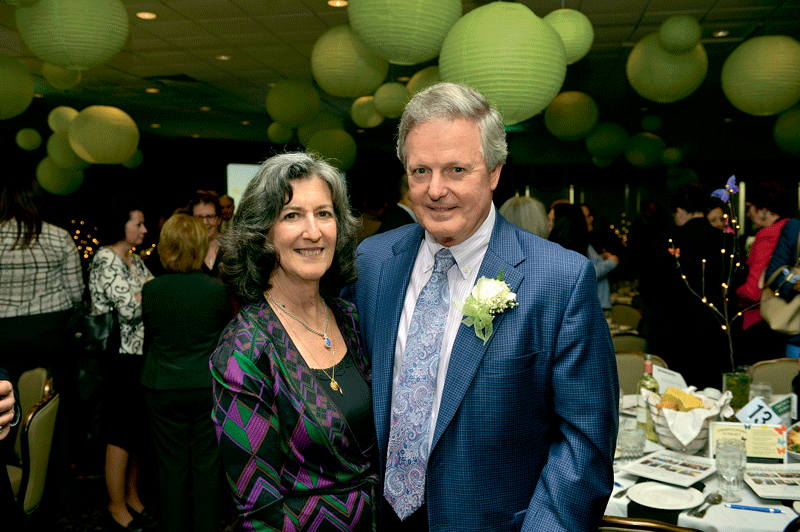 2017 Difference Maker Denis Gagnon Sr., president and CEO of Excel Dryer, with his wife, Nancy. From event sponsor Northwestern Mutual, from left, Adey Thomas, Darren James, Cara Cole, Kate Kane, Donald Mitchell, and Craig Knowlton. 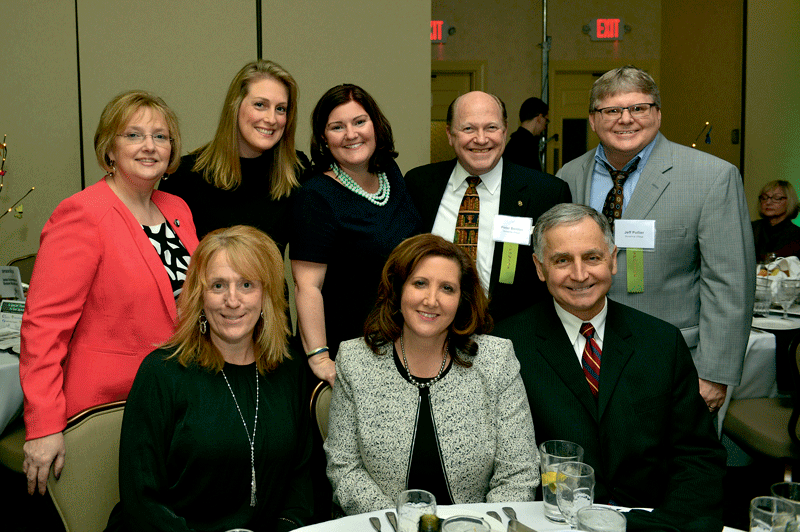 From event sponsor Meyers Brothers Kalicka, P.C., from left, Howard Cheney, James Krupienski, John Veit, Brenda Olesuk, and Donna Roundy. 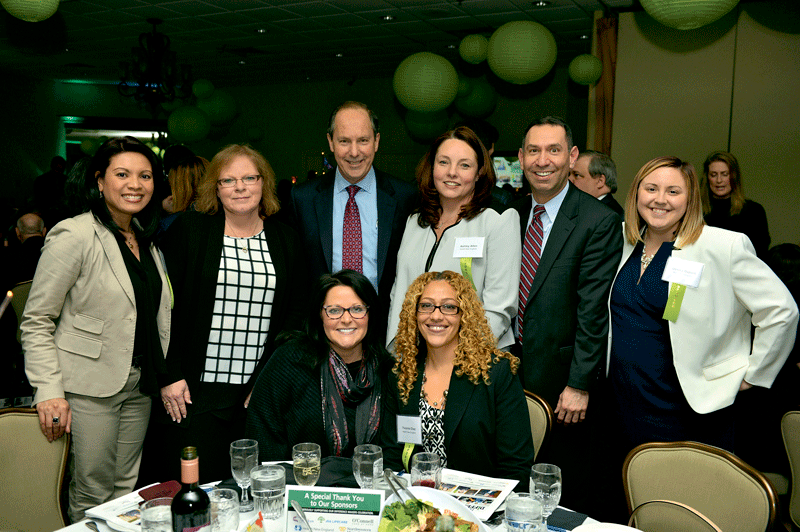 Top row, from left: Glenda DeBarge of event sponsor Health New England (HNE); Jen Stone of USI Insurance Services; Mark Keroack of Baystate Health; Ashley Allen, Jody Gross, and Jessica Dupont of HNE. 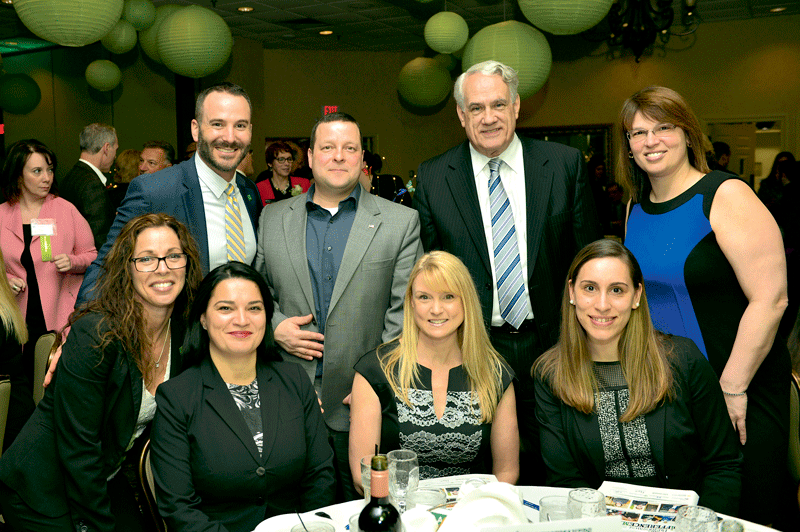 Bottom row: Michelle Martone of USI (left) and Yvonne Diaz of HNE. Back row, from left: from event sponsor Sunshine Village, Teri Szlosek, Amie Miarecki, Michelle Depelteau, Peter Benton, and Jeff Pollier. Front row, from left: Colleen Brosnan and Gina Golash Kos from Sunshine Village, and Chicopee Mayor Richard Kos. 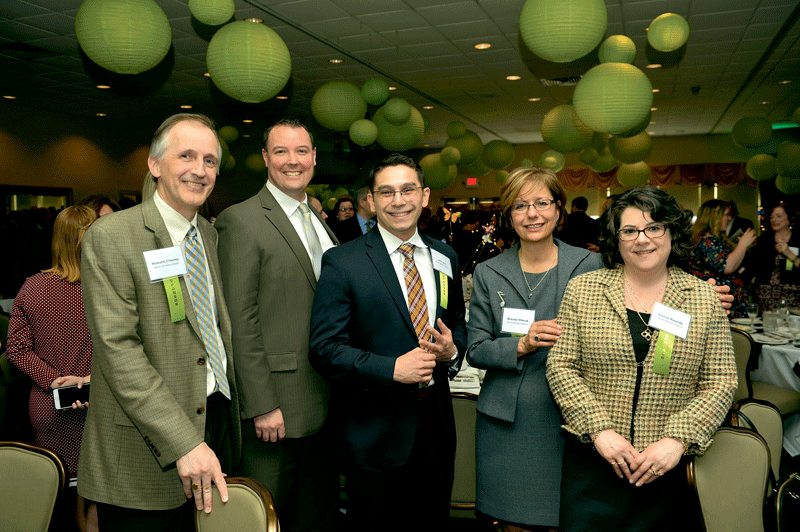 Back row, from left: from TD Bank, Gregg Desmarais, Peter Simko, Dave Danker, and Tracey Alves-Lear. 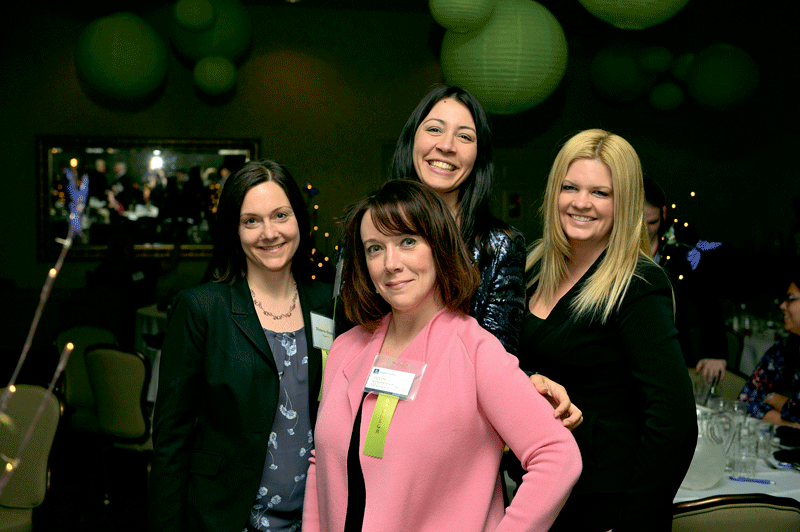 Front row, from left: from TD Bank, Christina Sousa, Bela Blake, Jana Seiler, and Claudia Pereira. 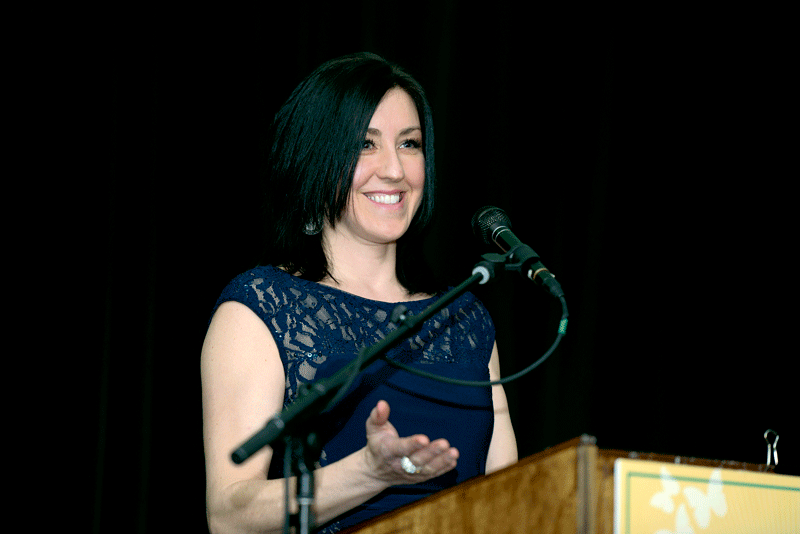 BusinessWest Associate Publisher Kate Campiti welcomes attendees to the Log Cabin. 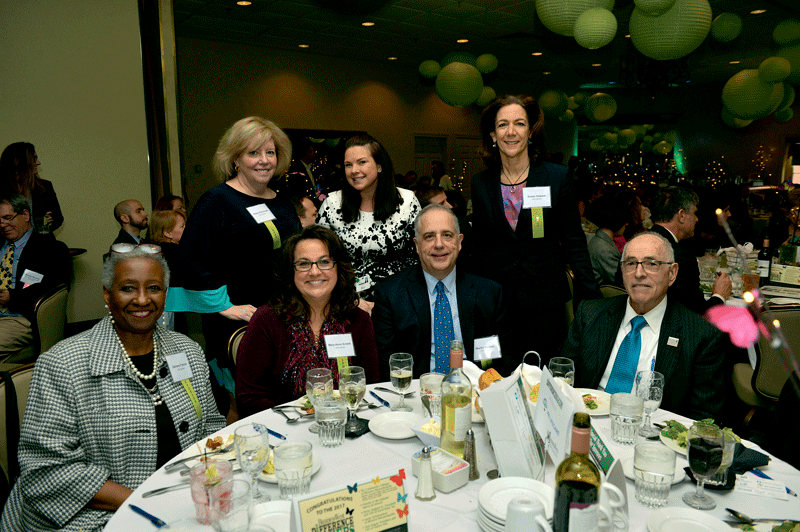 Back row, from left: from event sponsor JGS Lifecare, Karen Petruccelli, Christina Tuohey, and Susan Halpern. Front row, from left: from JGS Lifecare, Darlene Francis, Mary-Anne Schelb, and Martin Baecker, with George Sachs from Acme Metals & Recycling. 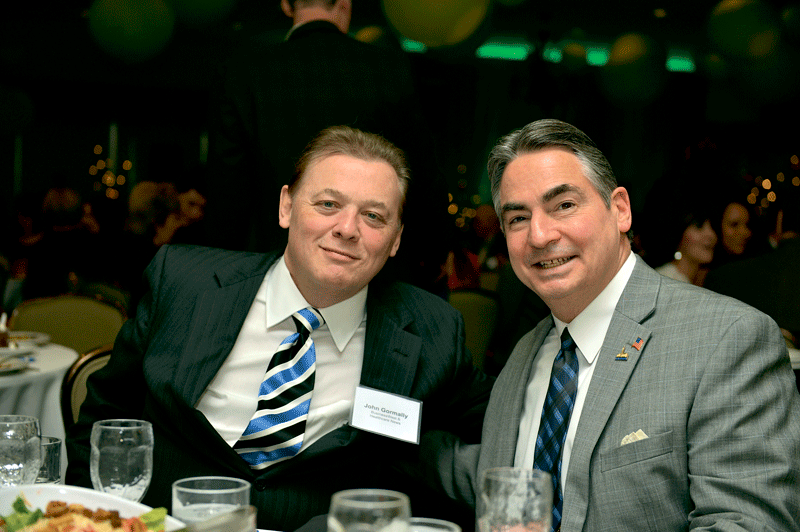 BusinessWest Publisher John Gormally (left) with Springfield Mayor Domenic Sarno. 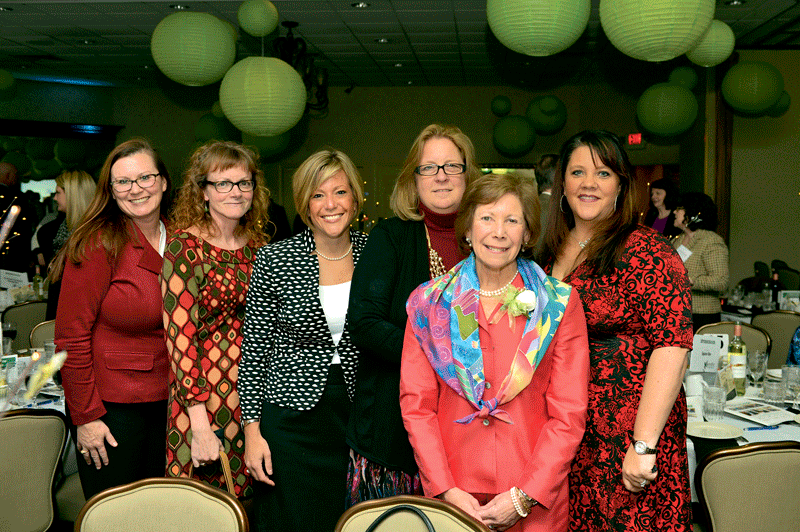 From left, Monica Borgatti and Ellen Moorhouse of the Women’s Fund of Western Mass., a 2012 Difference Maker, and Elizabeth Fisk and Danielle LeTourneau-Therrien of Big Brothers Big Sisters of Franklin County, a 2016 Difference Maker. Steve Levine applauds 2017 Difference Maker Joan Kagan, president and CEO of Square One. 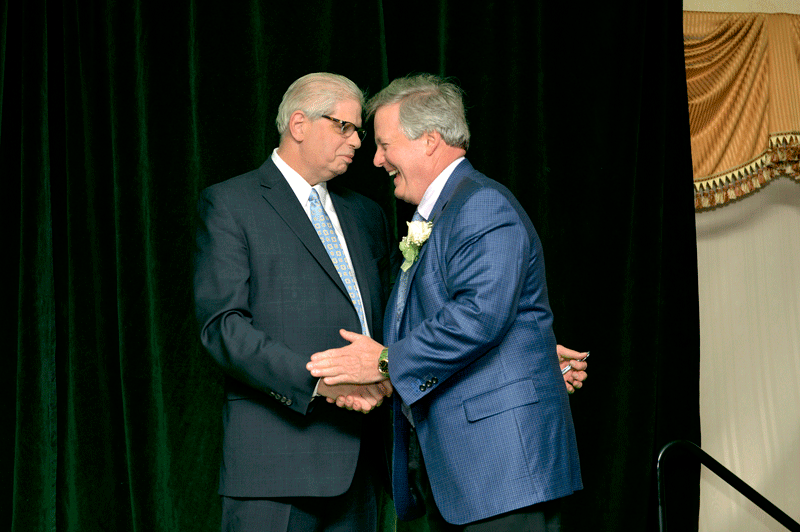 BusinessWest Editor George O’Brien congratulates 2017 Difference Maker Denis Gagnon Sr., president and CEO of Excel Dryer. The NextGEN gallery with ID/slug: 19 does not exist or is empty.